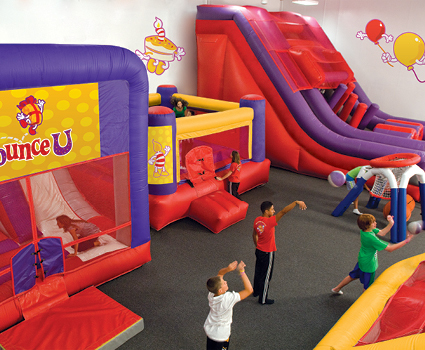 BounceU Apex is part of the world's largest franchised network of indoorinflatable party and family recreation centers. But more important to you is that BounceU of Apex is owned and operated by a local couple who are raising two children and still can't get enough of kids' smiles. The combination is what drives our store operations and gives our customers the best of both worlds. The collective resources and expertise of a national franchise network that's hosted tens ofthousands of private parties over the last decade and the family-first values of local owners. We INVENTED the concept for birthday parties we describe as "WE do all the work so YOU have all the fun!" We know our popularity is due to YOU and since opening our store in 2008, we've never stopped improving our operations, updating our rides and games regularlyand refining our internal systems to ensure we offer our guests the best experience AND the best value. We also embrace the responsibility we have as corporate citizens to make our community a better place, which is why we have quietly donated over $20,000 in free passes, free camps and free parties each year to local nonprofits and youth organizations. 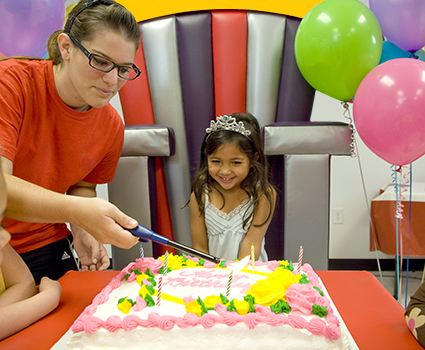 Thank YOU for making BounceU the #1 party destination for active family fun since our store opened in Apex in 2008. We are honored that you trust us to be part of your family celebrations and to help you create memory that last a lifetime! We are proud to serve families in the research triangle area - Apex, Cary, Chapel Hill, Durham, Fuquay-Varina, Garner, Holly Springs, Morrisville & Raleigh.